Total privacy w/ double cludesac! Hard to find custom 5 bedroom w/master and one secondary bedroom with full bath downstairs – perfect for nursery or multi-generational living! Private study & formal dining at entry. Den features high ceilings & windows overlooking sparkling pool and spa in private backyard. Architecturally appealing pool design with pebbletec type surface. Covered patio and plenty of backyard space for children and pets to run! Island kitchen with gas cooktop & double ovens is chef’s delight! Private staircase near kitchen connects upstairs and downstairs. Master features romantic sitting area & large master bath. Gameroom PLUS media/craft room up and another 3 very large bedrooms. One bedroom even has a finished storage space making perfect secret room for kids or climate controlled storage. Beautiful stone & brick elevation on quiet cul-de-sac street! Home did not flood during Harvey. Please, send me more information on this property: MLS# 10846674 – $469,900 – 6111 Country Falls Lane, Kingwood, TX 77345. 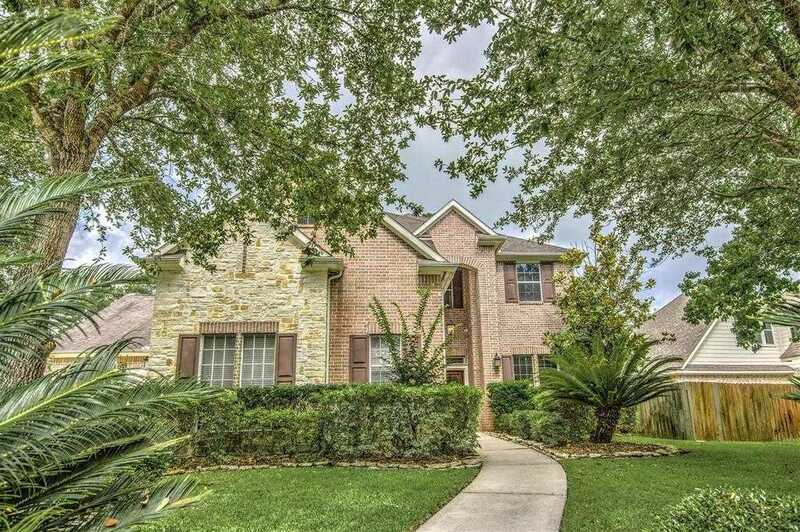 I would like to schedule a showing appointment for this property: MLS# 10846674 – $469,900 – 6111 Country Falls Lane, Kingwood, TX 77345.